There are many reasons I’m glad I’m not a cow. For example, I have no fear of ever being eaten. I didn’t have to give birth outdoors. Flies don’t have a tendency to gather on my body where I can’t reach them. Actually flies don’t have a tendency to gather anywhere on my body. Getting de-wormed is not something I have to be concerned about. I’m not at the mercy of someone else to feed me or water me. I’m not expected to produce a child every year or two for the rest of my life. I don’t weigh over a thousand pounds and share a pasture with a bull who probably hits the scale somewhere about the one ton mark. On the other hand I can’t stick my tongue up my nose nor can I produce cud. And the cow doesn’t have a car payment, job in town, laundry or an extensive to-do list. 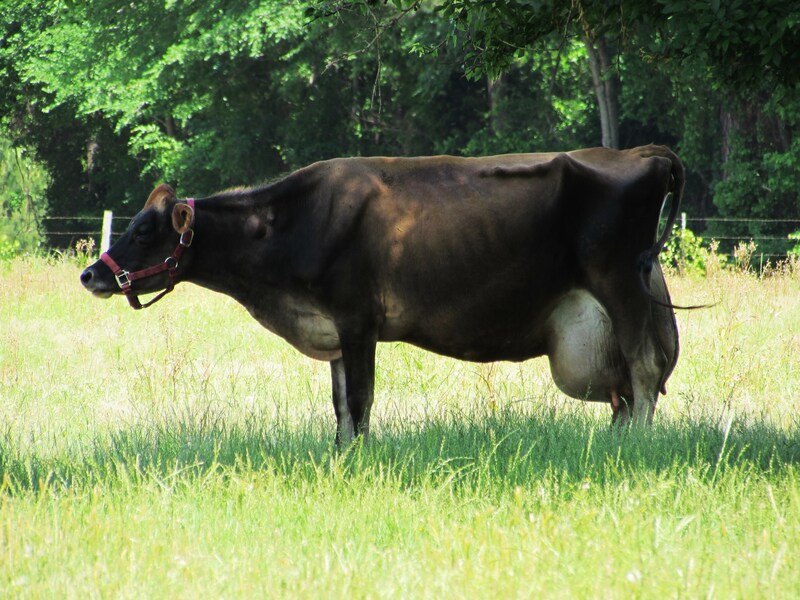 These things all aside here is the number one reason I am glad I’m not a cow…..
Now that’s one fine udder. I’m just glad it’s on her, not me. Wow! That udder looks painful! I’m even more glad I’m not a steer. Looking at the photo and all that additional milk weight she has to carry, I’m also glad I’m not a cow!